The main strengths of this study lie in its originality and in the use of robust scoping review methods, giving confidence that the results are reliable. The study provides evidence that a large number of published papers violate ethical standards by including data on transplants involving organs procured from prisoners. The data set was limited by exclusion of publications in languages other than English, or published in Chinese journals, regardless of the language of publication. The data in the included studies were imprecise regarding organ sources. The total number of participants (and hence number of transplants) in the included studies is inflated by multiple publication of the same and overlapping research cohorts. Together, these statements by international bodies, professional societies, academics and journals constitute explicit ethical standards prohibiting the publication or presentation of research involving organs sourced from executed prisoners. These standards are primarily directed towards peer-reviewers, editors and publishers. However, these standards lack regulatory force; there are no sanctions for breaches, and to date there has been no audit investigating compliance. This study is the first attempt to track the progress of the transplant community in meeting this ethical injunction to avoid publication of research based on organs sourced from executed prisoners. The transplant community recognises that boycott is an effective way to express condemnation of Chinese organ procurement practices, leading to formal TTS policy and recommendations for banning unethical research as described above. Publication in international, peer-reviewed journals is a marker of academic success and international acceptance. Imposing a ban sends a strong message of disapprobation to researchers whose projects involve transplants of organs sourced from executed prisoners. The current approach to this issue taken by TTS and some journals is incremental rather than absolutist.10 An ‘absolutist’ approach would ban publication of all Chinese transplant data until there is compelling positive evidence that the use of executed prisoners’ organs has ceased. This would require free and full on-site inspections of Chinese transplant hospitals, including unfettered access to hospital information systems. China has not agreed to such inspections and no international or professional body has assumed responsibility for pursuing this issue. Instead, the professions’ preferred incremental approach requires assessment of Chinese studies for ethical acceptability prior to publication, with exclusion of any that include data from executed prisoners. The incremental policy therefore requires peer-reviewers and journal editors to ask consistently whether the research: (1) involved any biological material sourced from executed prisoners; (2) received Institutional Review Board (IRB) (Research Ethics Committee) approval and (3) required consent of donors. For transparency purposes, this information should be included in the final publication. Transparency contributes to a culture of accountability and ensures that readers are not unwittingly absorbing and using unethically obtained data. The burden of proof should rest with authors/researchers to supply evidence of consent to donation, and approval by an IRB, and attest that their study does not use material derived from executed prisoners. In this study, we investigated the extent to which journals have complied with these ethical standards by: (1) publishing only research using organs from volunteer donors; (2) requiring a statement of IRB approval and (3) providing a statement that consent was obtained from donors. As noted above, ‘consent’ obtained from executed prisoners does not meet international ethical standards. Relevant studies in English-language journals were identified through searching online databases. The electronic search strategies were developed, tested and refined with the assistance of an expert librarian. The search aimed to identify full-text papers published in English in peer-reviewed journals by authors based at Chinese institutions that reported on research involving recipients of solid organ transplants. The search strategies for Medline, Scopus and Embase are described in online supplementary file 1. The inclusionary criteria were organ transplantation/transplant (title, abstract) and China (institution/affiliation). The exclusionary criteria were stem cells (title, abstract); mice (title, abstract); living donors (title, abstract); case reports/letters/editorials (document type). The searches were limited to English language and humans, and the years were 2000–date of search. The start date of 2000 was selected as this is when numbers of transplantations and associated research papers rapidly increased in China. Medline, Scopus and Embase were searched on 5 April 2017 by WR, BB and RC-W. All relevant searches were downloaded into an EndNote library by WR. Duplicates were removed by EndNote filter. We did not identify further papers from other sources or search the references of included papers as we aimed to capture papers that are readily available through mainstream databases, and this was a scoping rather than systematic review. We recognised that our search strategy might potentially miss some papers published in difficult to find journals as well as those published in languages other than English, with a potential reduction in sensitivity. However, we do not think that papers omitted as a result of this strategy undermine the reliability of the findings. Rather, these omissions may make our estimate of the magnitude of any ethical breaches of publication standards conservative, based on the assumption that ethical compliance is likely to be higher in international journals published in English compared with journals published in China whether in Chinese or English language. English-language journals published in China. Articles which could not be eliminated by title and abstract were reviewed as full-text articles to determine eligibility. Prior to full-text review, five of the authors (WR, MPR, RC, BB, RC-W) undertook further training and benchmarking in use of the exclusionary criteria on full-text papers. This involved all five screening the same 20 papers, followed by discussion. The exclusionary criteria were finalised after this process (box 1), and four authors (RC, WR, MPR, BB) assessed full-text articles for eligibility. ‘Animal research’—exclude any non-human research. ‘Chinese journal’—exclude any papers published in (English language) journals published in China, on the assumption of low compliance with Western ethical standards. ‘Case report’—exclude papers reporting on clinical case reports. ‘Incidental inclusion’—exclude papers where transplant recipients are incidentally included as research participants. ‘Kidneys’—exclude any papers reporting data from kidney transplant recipients due to ambiguity of source (living or deceased). ‘Living donors’—exclude papers where all the transplanted organs were procured from living donors, including split livers from living donors. ‘Not China’—exclude any papers where the transplants took place outside mainland China. ‘Not reviewed’—exclude any non-peer-reviewed publications (including commentaries, letter to editors, etc). ‘Other organs’—exclude other tissue or organs, that is, not livers, hearts or lungs. 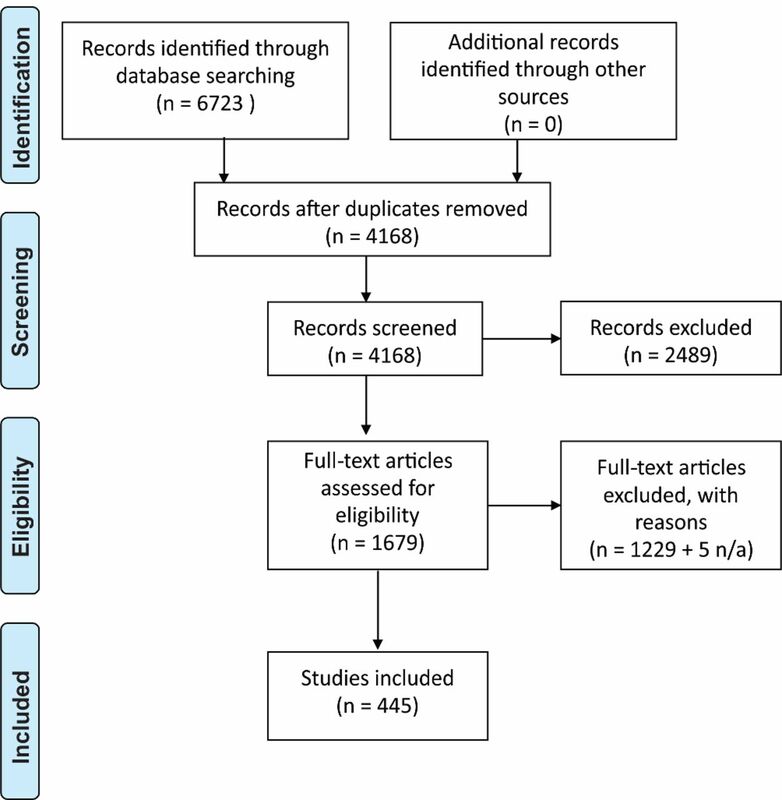 ‘Review paper’—exclude review papers (meta-analysis, systematic reviews, etc). The reasons for exclusion were recorded, but where more than one reason was present, only the first reason noted by the data extractor was recorded. Papers reporting on recipients of kidney transplants were excluded at the full-text review stage after a trial of 200 full-text analyses. In this sample, 40% of kidney papers failed to report whether organ sources were living or deceased. As a key question in our research concerned procurement of organs from executed prisoners, we did not want to include a potentially large number of papers in which it was unclear whether or not organs were procured from living donors. The same four authors who determined eligibility of full-text papers also extracted data from these papers onto pretested forms (see online supplementary file 2 for details extracted). Any details that could not be extracted with certainty were discussed by the group of authors to reach a consensus. No data extraction outcomes were unable to be resolved using this method. Data from 10% of included papers were checked by a second author. This process is summarised in a Preferred Reporting Items for Systematic Reviews and Meta-Analyses diagram (figure 1). Preferred Reporting Items for Systematic Reviews and Meta-Analyses flow chart detailing search strategy. There was no patient or public involvement in this scoping review of published literature. The main results are summarised in table 3. See online supplementary file 4 for a full table of results. Overall, 324 (73%) of the 445 papers included a statement regarding approval from an institutional or regional ethics committee. Most of these statements were of a general type such as: ‘The study protocol was conducted in accordance with the standards of the Declaration of Helsinki and current ethical guidelines’30; ’All protocols were approved by the ethics committee of the institution before the study began, and the protocols conformed to the ethical guidelines of the 1975 Helsinki Declaration’31 and ‘The present study was approved by the ethics committee of Qingdao University (Qingdao, China)'.32 Few contained an IRB reference number or the date approval was granted. The majority of these statements reported that research participants (who were the transplant recipients) had given their informed consent. Articles per year with and without ethics statements. Articles per year with and without organ source ID. Among the 63 papers that provided any information about the sources of organs, 33 (7.4% of all included studies) stated explicitly that no organs from executed prisoners were used in the transplantations.30 31 34–65 Five of these also stated explicitly that organs were sourced from volunteers.35 39 46 48 61 Three of the 33 reported that informed consent was obtained from sources or their families, and these three papers also included a statement about ethics review.30 47 61 That is, <1% of included studies contain all three pieces of information mandated by TTS. There were 10 papers that contained information implying that donations were from voluntary, non-prisoner sources, without explicitly stating this, or that consent was provided.98–107 The statements from these papers are in box 2. Looking at all of the organ source ID statements by year of transplant, there are a total of 30 papers that either stated explicitly that no organs from prisoners were used (18) or indicated that organs were sourced voluntarily and/or with consent during the time period when executed prisoners were virtually the sole source (there were 120 volunteer donations across all of China in this period). These data are summarised in table 5, along with the same data for the whole set of included papers. Of the 445 papers, 192 (43%) report on research that took place when the only organs available for transplant were from executed prisoners, while another 148 (33%) spanned the start of the volunteer donor pilot so must include at least some data derived from executed prisoners. Turning to the journals that published the 445 papers, a full list of these is in online supplementary file 6. Seventeen journals published five or more papers during the study period. In this subset of 17, the proportion with ethics statements ranged from 38% to 100%, while the proportion with identity statements regarding sources ranged from 0% to 40% (table 6). This study shows that the majority of the published literature identified in this scoping review reporting research on transplants in China from 2000 to April 2017 fails to comply with ethical standards regarding exclusion of research based on organs procured from prisoners. The body of literature contains a large number of papers that certainly, or almost certainly include data from executed prisoners given China’s acknowledgement that during this period executed prisoners were the principal organ source. While TTS policy appears to have been partially successful in that the number of papers claiming IRB approvals rose steeply after that policy was published in 2006, the inclusion of this information has not addressed the major underlying concern about use of prisoners’ organs. This is because the ethics review process focuses on the protection of research participants and their informed consent for participation in research. In transplant research, it is the recipients of transplants who are protected by IRB review, rather than the organ donors. Therefore, claims about compliance with the Declaration of Helsinki are largely irrelevant regarding the use of prisoners’ organs in research. Few papers (14%) include any information about the identity of organ sources. Only half of these explicitly state that no organs were procured from executed prisoners, but many of these claims are incompatible with what is known about volunteer organ sources in China. Our findings raise significant issues. First, there is the broad question of what to do about the large body of literature based on research using organs from prisoners. It can be argued that prior to 2006, the international transplant community was not aware that in China at the time, all transplants were procured from executed prisoners. However, post-2006 and the publication of TTS policy, professional claims of ignorance are hard to support. This lack of vigilance on the part of reviewers, editors and publishers is morally concerning, given the large numbers of papers (over 85%) accepted for publication with no information at all on the source of organs, especially where individual journals have explicitly adopted relevant policy (Transplantation, American Journal of Transplantation). Continued use of this research raises potential issues of complicity112 to the extent that the international community (including members of TTS, journal editors and peer-reviewers) condemn the use of executed prisoners’ organs in research, but nonetheless benefit from this practice by allowing or facilitating the publication of such research, and subsequently using the findings. The obligations of third parties to avoid complicity depend in part on the magnitude of the moral wrong in question.113 Some research uses of datasets that were obtained illicitly may be permissible.114 By comparison, there is broad consensus that it is unethical to make use of the data obtained from Nazi and Japanese medical experiments where the victims were killed or harmed in the course of the research.115–117 The use of research based on organs sourced from executed Chinese prisoners, many of whom are prisoners of conscience,21 118 falls at the severe end of this spectrum of moral wrongs in research. The obligation of third parties, such as peer-reviewers, publishers and editors to avoid complicity is therefore comparatively high in this case, warranting large-scale retractions and investigation of the 340 papers that are based exclusively or partially on data from executed prisoners (ie, all papers reporting on transplants that occurred prior to 2010 or spanning 2010: see table 5). In addition, due to lack of vigilance by the journals on reporting organ sources, readers risk witting or unwitting complicity to the extent that they use the published research findings. The continued presence of these papers in the literature creates moral hazard as it demonstrates that breaches of ethical standards in research will be ignored or tolerated, thereby removing incentives for future compliance with these standards. Second, journal editors must decide how to handle published papers that use data from executed prisoners, and make almost certainly false claims about procuring organs from non-prisoner sources. In 29 of the 63 papers claiming or implying that organs were from non-prisoner sources and/or donated voluntarily or with consent, the claims are incompatible with what is known about voluntary donations across China in the relevant time period. There is less certainty regarding the falsity of claims in published papers reporting on transplants that took place between 2010 and 2014 given the existence of a pilot voluntary donation scheme. Determining the likely veracity of these claims requires sustained investigation, including of Chinese-language sources. Such investigation is possible, and has formed the basis for a retraction of a paper that falsely claimed more organs were procured from volunteers than there were reported volunteers at the relevant hospital.119–121 This is to date the only retraction in the literature. At the very least however, reviewers, editors and journals should be aware that prior to 2010 there were almost no voluntary donors, and that the alleged numbers of volunteer donors during the 2010–2014 pilot scheme were low (table 4). Given this situation, claims about volunteer sources for transplantation during these periods warrant scrutiny, with rejection of papers and author bans if adequate evidence of ethical organ sourcing is not provided. Third, there is a pressing need for further reviews of the literature not included in this study. In particular, we need review of Chinese-language sources and English-language publications in China where a further large body of unethical research may be published, as well as review of papers published in languages other than English and Chinese. A future review of kidney transplant papers is also required, to fully document the extent of published unethical research. Finally, there is a question regarding future publication of Chinese transplant papers. In our view, it is unacceptable to publish any papers that are highly likely to contain data derived from use of prisoners’ organs. This includes data from transplants up until the end of 2014, given the difficulty of establishing organ provenance and the demonstrated lack of veracity in the claims of at least some authors. However, even transplants post-2015 may involve prisoners’ organs.19 For this reason, we suggest an interim moratorium on publication of all relevant papers, pending an international summit to develop policy. A summit involving representatives from the International Committee of Medical Journal Editors, Committee on Publication Ethics, TTS and members of other relevant national and international transplant societies, together with China human rights experts, ethicists and any other relevant stakeholders could and should develop policy on handling future research. One outcome of this process could be the development of a checklist tool for all transplant papers, itemising mandatory information about organ sources. Given our lack of capacity in this study to report on papers involving kidney transplants due to missing information about the status of organ sources, one requirement of a checklist should be an unambiguous statement regarding whether organ sources were living or deceased. An international and widely adopted process of this kind would provide a strong incentive for China to move more rapidly towards an organ donation system that is ethical, transparent and verifiable. This incentive is currently lacking given the widespread publication of unethical research. The strengths of the study lie in its originality and robust methods. These give confidence that the results are reliable and likely to be conservative (given reasonable assumptions as described in the ’Methods' section) rather than to overestimate the findings. However, there are potential limitations. First, scoping reviews are less comprehensive than systematic reviews, making it possible that relevant papers were not identified and included. Second, we had to change our approach to data collection during the study, as the quality of data in the papers was often imprecise. This affected the study in two ways. We were not able to report on research involving kidney transplants due to lack of information as to whether sources were living or deceased; and we were not able to report on whether organs were obtained after death declared on cardiac or brain criteria as this information was inconsistently reported. Third, unless stated otherwise in the papers reporting on liver transplants, we have assumed the donors were deceased. It is possible that some of the transplants classified as deceased donor were from living split liver transplants, however we think the number is likely to be very low as deceased sourcing is the the most common type of transplant and numbers of living liver donations in China are low, at 7.37% of total cumulative liver transplants as of end 2011, according to official data.122 Fourth, we have reported on published literature, but during the period when only organs from executed prisoners were available, the pharmaceutical industry ran clinical trials on immunosuppressants for transplantation in China (including after 2007 when TTS policy was promulgated).123 Unpublished industry trials have not been included in our study. Finally, we have reported the total number of participants (and hence number of transplants) in the included studies, but this number is likely to be inflated by multiple publication of the same and overlapping research cohorts. However, as our aim was to report on whether or not published research met the ethical reporting standards mandated by TTS, we do not think this is a critical issue. The transplant community has failed to implement ethical standards banning publication of research using material from executed prisoners. As a result, a large body of unethical published research now exists, raising questions of complicity to the extent that the transplant community uses and benefits from the results of this research. Our study has identified the extent of this problem as well as specific papers containing demonstrably false claims about organ sourcing. There has been a significant lack of vigilance and failure to adhere to accepted ethical standards by reviewers, editors and publishers. Researchers and clinicians who use this body of research risk complicity by implicitly accepting Chinese methods of organ procurement. We call for immediate retraction of all papers reporting research based on use of organs from executed prisoners, and an international summit to develop future policy for handling Chinese transplant research. WMA - The World Medical Association. WMA Statement on organ and tissue donation. https://www.wma.net/policies-post/wma-statement-on-organ-and-tissue-donation/ (Accessed 7 Feb 2018).
. Policy and Ethics. The Transplantation Society. https://www.tts.org/about-tts-5/governance/policy-a-ethics (Accessed 7 Feb 2018). Amnesty International Publications. Amnesty International Report 2011: the State of the World’s Human Rights: Amnesty International Publications, 2011. The Declaration of Istanbul Custodian Group. The declaration of istanbul on organ trafficking and transplant tourism. http://www.declarationofistanbul.org/ (Accessed 7 Feb 2018). The Transplantation Society. The Transplantation Society’s principles for interacting with China. 2006. https://www.tts.org/index.php?option=com_content&view=article&id=11&Itemid=223 (Accessed 28 Sep 2018).
. The New York Times. Doctor says he took transplant organs from executed Chinese Prisoners. 2001. https://www.nytimes.com/2001/06/29/world/doctor-says-he-took-transplant-organs-from-executed-chinese-prisoners.html (Accessed 17 Feb 2018). BBC News. China admits death row organ use: BBC, 2018.
. 专访黄洁夫|中国器官移植事业光明正大地登上世界舞台 [Exclusive Interview with Huang Jiefu: the China organ transplant field justly and honorably steps onto the world stage]. China Healthcare. 2015. https://perma.cc/X73M-HNRX (Accessed 23 Mar 2018).
. The Guardian. China may still be using executed prisoners’ organs, official admits. 2017. http://www.theguardian.com/world/2017/feb/07/china-still-using-executed-prisoners-organs-transplants-vatican (Accessed 21 Mar 2018).
. Bloody Harvest: the killing of Falun Gong for their organs. Woodstock, ON: Seraphim Editions, 2009. United States. Congressional-Executive Commission on China. Falun Gong in China: review and update: hearing before the congressional-executive commission on China, One Hundred Twelfth Congress, Second Session: U.S. Government Printing Office, 2012.
. A comparison of risk factors for septic shock in renal transplant recipients with liver transplant recipients with bloodstream infections. Exp Clin Cardiol 2014;20:3587–97.
. The distribution and resistance of pathogens causing blood stream infections following liver transplantation: a clinical analysis of 69 patients. Hepatogastroenterology 2014;61:2311–4.
. Fungemias following liver or kidney transplantation: A clinical analysis of 17 patients. J Pure Appl Microbiol 2014;8:667–70.
. Arterial waveform monitoring during liver transplantation. Exp Clin Cardiol 2014;20:145–57. Beijing Times. 黄洁夫：内地已有38家医院停用死囚器官[Huang Jiefu: 38 Hospitals in China have already stopped using organs from prisoners]. 2014. http://npc.people.com.cn/n/2014/0307/c376899-24566378.html (Accessed 23 Mar 2018).
. Clinical values of AFP, GPC3 mRNA in peripheral blood for prediction of hepatocellular carcinoma recurrence following OLT: AFP, GPC3 mRNA for prediction of HCC. Hepat Mon 2011;11:195–9.
. Safety limitations of fatty liver transplantation can be extended to 40%: experience of a single centre in China. Liver Int 2016. China Organ Transplantation Development Foundation. 中国模式+广州贡献’获国际器官捐献与移植学界点赞 [’China model + Guangzhou donations' are praised by international organ donation and transplantation community]. 2017. http://news.dayoo.com/guangzhou/201712/16/139995_51994682.htm (Accessed 30 Mar 2018).
. Influence of preoperative diastolic dysfunction on hemodynamics and outcomes of patients undergoing orthotopic liver transplantation. Int J Clin Exp Med 2013;6:351–7.
. Clinicopathological features of hepatitis B virus recurrence after liver transplantation: eleven-year experience. Int J Clin Exp Pathol 2014;7:4057–66.
. Surgical procedures for hepatolithiasis. Hepatogastroenterology 2010;57:134–7.
. In-hospital and follow-up outcomes of patients undergoing orthotopic liver transplantation after hepatic artery reconstruction with an iliac interposition graft. Int J Clin Exp Med 2016;9:3939–45.
. Ethical issues in research using datasets of illicit origin. In: Proceedings of the 2017 Internet Measurement Conference: ACM, 2017:445–62. ABC News. Is it Ethical to Use Data from Nazi Medical Experiments?. 2015. http://www.abc.net.au/religion/articles/2015/06/11/4253136.htm (Accessed 30 Mar 2018).
. Barbaric Research, Japanese Human Experiments in Occupied China: Relevance, Alternatives, Ethics. Eckart WU , ed. Man, medicine, and the state: the human body as an object of government sponsored medical research in the 20th Century: Steiner, 2006.
. The slaughter: mass killings, organ harvesting, and China’s secret solution to its dissident problem: Prometheus Books Amherst, 2014.
. China Liver Transplant Registry Annual Report 2011. China Liver Transplant Registry. 2011.
. Responsibilities of international pharmaceutical companies in the abusive Chinese organ transplant system. In: Matas D , Trey T , eds. State organs: transplant abuse in China. Woodstock, Ontario: Seraphim Publishers, 2012:119–35. Contributors All authors contributed substantially to the conception and design of the work and to the analysis and interpretation of the data. All authors contributed to revisions and approved the final draft. All authors agree to be accountable for all aspects of the work in ensuring that any questions related to the accuracy or integrity of any part of the work are appropriately investigated and resolved. Specific individual contributions in addition to the above: WR led the drafting of the paper and contributed to data extraction. MPR contributed to literature searching and data extraction. AB contributed to literature searching and drafting sections of the manuscript. BB contributed to data extraction and preparation of figures and tables. RC contributed to data extraction. RC-W contributed to resolving data extraction outcomes. MFS contributed to the Introduction. The lead author (WR, the manuscript’s guarantor) affirms that the manuscript is an honest, accurate and transparent account of the study being reported. No important aspects of the study have been omitted; and that any discrepancies from the study as planned (and, if relevant, registered) have been explained. Competing interests Dr AB is a member of the New Zealand Advocacy & Initiatives Committee (NZAIC) of the International Coalition to End Transplant Abuse in China, Dr BB has nothing to disclose, Dr RC has nothing to disclose, Dr RC-W is a member of the Australian Advocacy and Initiatives Committee of the International Coalition to End Transplant Abuse in China, Professor MFS is a member of the Ethics Committee of Doctors Against Forced Organ Harvesting, and a member of the Australian Advocacy and Initiatives Committee of the International Coalition to End Transplant Abuse in China, MPR reports that he is an occasional expert contributor to the International Coalition to End Transplant Abuse in China, Professor WR is a Director of the NGO ’International Coalition to End Transplant Abuse in China' and is chair of its International Advisory Committee. Data sharing statement The full list of 445 included studies is published in online supplementary file 3.